The winner in the Student Design category at last year's awards. This piece was designed by Onkar Nagara of Fletcher’s Meadow Secondary School. NEWPORT, N.C. – Deadline for entries in the 12th annual Veneer Tech Craftsman’s Challenge – the international design competition that recognizes excellence in products using natural wood veneer - is June 1, 2016. The judges are Marc Adams of Marc Adams School of Woodworking; Bill Esler, the editorial director for the Woodworking Network; and Bob Nurre, national accounts business manager for Roseburg Forest Products. The challenge is now accepting all entries. 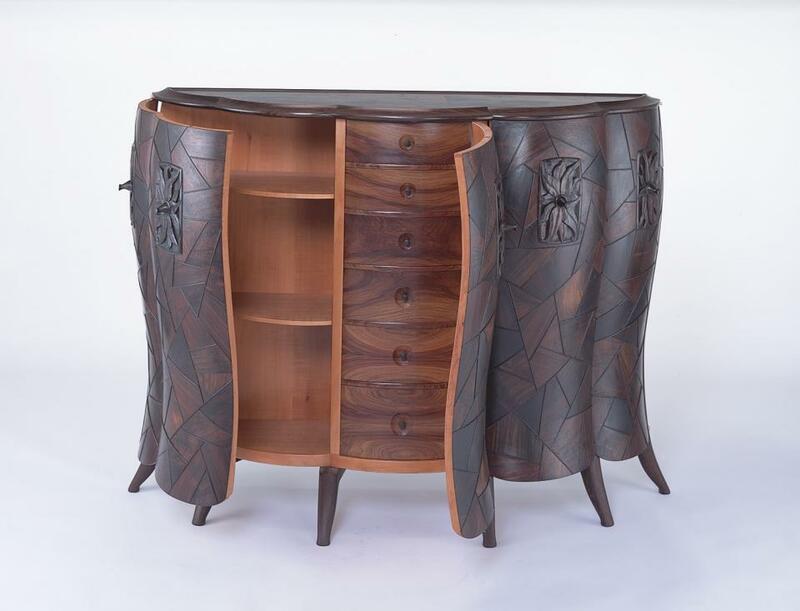 is “Biedermeier Desk” by Joel Liebman, Joel Liebman Furniture, Easthampton, MA. Marc Adams has been woodworking professionally for more than 34 years, and is the lead at Marc Adams School of Woodworking. 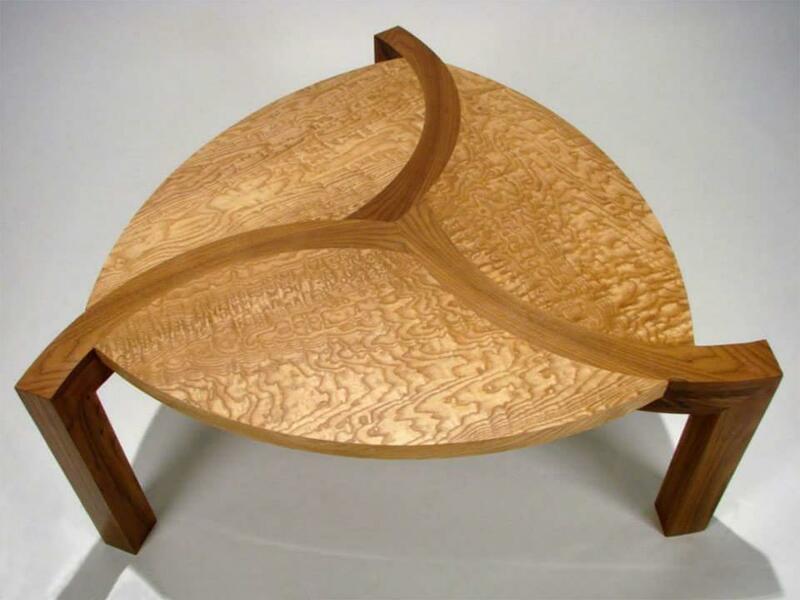 His work has appeared in Design Book Six and Design Book Seven, and has been featured in Woodshop News and Fine Woodworking. His best-selling Technical Techniques video series has won four Telly awards. Adams wrote an eight-part series on workshop safety for Popular Woodworking magazine, and currently writes for Fine Woodworking on the safe way to use stationary tools. He lectures nationally for universities, guilds, and trade shows, and does train-the-trainer programs for major tool manufacturers. Bill Esler, editorial director for Woodworking Network, is responsible for overall content at WoodworkingNetwork.com, FDMC magazine, and related publications and newsletters. Esler also manages event programs for Woodworking Network Live events, and conferences at the Woodworking Machinery & Supplies Expo in Toronto and Cabinets & Closets Expo. Bob Nurre is the national accounts business manager for Roseburg Forest Products, with a deep background in the marketing and sales of hardwood plywood and veneer products. Nurre has worked in wholesale distribution and later in manufacturing in both the U.S. and Russia. He is a past board member of the Hardwood Plywood and Veneer Association. 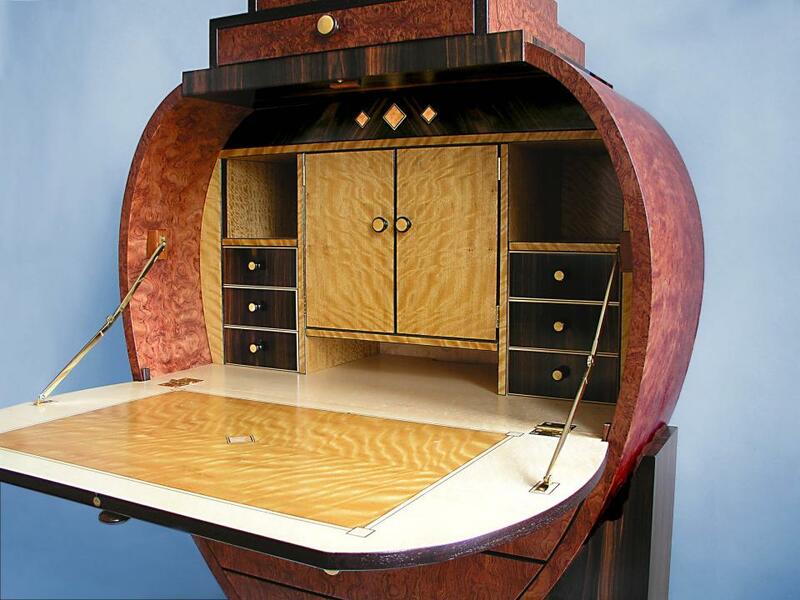 Veneer Tech Craftsman’s Challenge entries are accepted through June 1. Competition categories include Architectural Woodworking, Cabinetry, Furniture, Marquetry, Specialty Products and Student Design. Entry forms are available online through www.veneertech.com, from Veneer Technologies sales representatives and distributors, and from Craftman’s Challenge co-sponsor FDMC magazine’s sales representatives. There is no entry fee. Material does not need to have been sourced through Veneer Tech to be eligible. A cash award of $3,000 will be made to the creator of the grand prize winning entry. The distributor of the veneer for the grand prize winning entry will receive $2,000, and the corresponding distributor salesman will receive $1,000. Other category winning entries receive $1,000 each. There is also an additional $1,000 award to the grand prizewinner for early entry by March 31. Awards will be announced at IWF Atlanta, August 24-27. 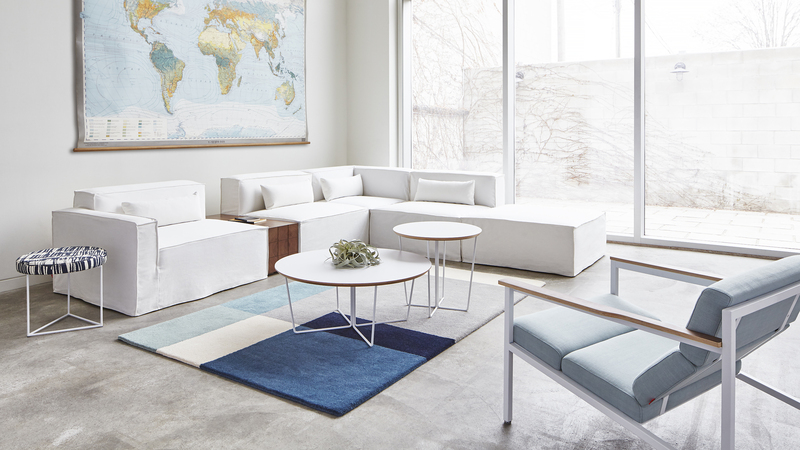 See the full slideshow of 2015 winners here.